We are here when you need us most - late at night and on weekends. Need to See a Dentist ASAP? Give us a call! We’re open late so you don’t have to wait. At Night & Day Dental, your health and convenience are of utmost importance to us. With opening hours until 10 pm and same-day appointments available, our North Carolina dentists offer dental emergency services to help relieve discomfort. If you are experiencing a dental emergency, let us help you! Our extended hours mean we are likely to see you the same day. We fit into your schedule, not the other way around. Our five dental locations in North Carolina are open until 10 pm on Monday – Friday. Plus, we have weekend and same-day appointments available. We accept most dental insurance plans, including North Carolina Medicaid. Not Insured? We Have a Solution. We offer an in-house savings plan with 20% discounts and accept cash, credit card, and CareCredit. After dental emergencies, we help our patients achieve optimal oral health with convenient follow-up appointments. We treat many dental emergencies the same day with permanent restorative options like CEREC® same-day crowns. Your dental emergency will always be evaluated by a doctor, and your comfort and well-being are our primary concerns. If you need to see a dentist for a dental emergency, contact us today! At Night & Day Dental, we take a comprehensive approach toward dental emergencies. We clearly communicate all treatment options so that you can make an educated decision. After visiting us for your dental emergency, we encourage you to return in two weeks for a check-up exam. With our extended hours, we can find a time that works for you. Do you have a damaged tooth, bridge, or crown? CEREC® advanced technology allows our dental practices the ability to provide same-day dental restorations. 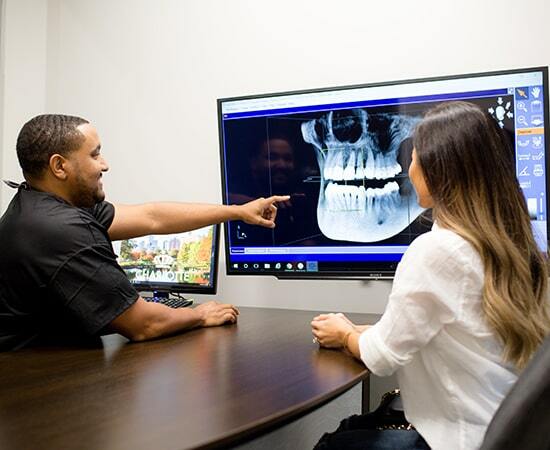 Using a 3D scanner, our well-trained dentists will grab digital impressions of your afflicted tooth – no goopy impressions. Using these images, we will design your new dental restoration from our convenient in-house dental lab. The end result is a beautiful tooth-colored replacement to restore your smile. Cavities are one of the most common dental problems, and if left untreated, it can cause infection and discomfort. Thankfully, our filling process is fast and simple. We use metal-free composite fillings for a more comprehensive restoration. These fillings are tooth colored, shaped to look natural, and fit your bite. Plus, they can and should be cared for as you would your natural teeth. As a dental practice, our primary goal is to safeguard your teeth and keep them healthy. But we do occasionally have to remove a tooth. The tooth extraction process is quick and gentle. Your comfort is our top concern, so we can numb the area around the tooth to instantly relieve any discomfort. Once healed, we will recommend an ideal replacement option and guide you through the entire process. Is your tooth broken or cracked? Using inlays and onlays, our dental practices can restore the shape and function of your tooth in one visit. With CEREC® technology, we can plan, design and place a composite, tooth-colored material on your tooth on the same day. This restoration option is an effective way to save and repair damaged teeth, and keep your natural smile! Is your tooth painful and tender, discolored, or sensitive to hot and cold temperatures? If so, this may be a sign your tooth needs a root canal. A root canal procedure removes the infected pulp from the inside of your tooth, cleans the canal, refills it, and then seals the space. Millions of teeth are treated and saved each year with root canals. If you show signs of needing a root canal, call us today. We can help you save your tooth and smile! What are your dental emergency hours? 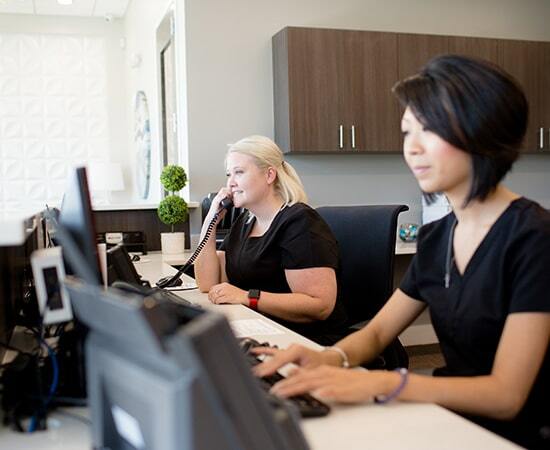 Our Night & Day Dental offices are open Monday – Friday from 10 am – 10 pm with weekend appointments available. We understand that dental emergencies are not scheduled, so our team will do our best to provide same-day appointments. Contact us today to find a convenient time to see one of our well-trained North Carolina dentists. Yes. As part of our commitment to same-day care, we do accept walk-ins. However, we always recommend scheduling an appointment to avoid wait times and to verify your insurance benefits. Our offices provide a range of opening times to fit your needs. Give us a call to schedule your appointment. The cost of an emergency dental appointment will depend on the service received. The longer you wait to have your dental emergency situation seen by a dentist, the more expensive treatment may be. We accept most dental insurance plans, which may cover your service depending on individual coverage. If you don’t have insurance, we offer an in-house savings plan with 20% discounts. We also accept cash, credit card, and CareCredit. If you’re still unsure, just give us a call! We will provide you with advice on how to relieve the pain and recommend your next steps. The service I received was exceptional. They were able to get me in for an extraction within an hour and a half of my husband's phone call. From there, the consultation and extraction itself took less than an hour. Dr. Orlosky was awesome and made me feel completely at ease. I've already made my first follow-up appointment and was able to do so in a time slot after work, which is amazing. I would highly recommend this practice. I had to go to Night & Day Dental for an emergency on a Sunday. I was nervous and scared, but they were great. From the time I walked into the dental office, Jennifer was kind and checked me in fast. She relaxed my nerves and made me feel at ease. Once in the back, the dental hygienist was very knowledgeable and explained each step she was performing. She had a very warm disposition and kept me calm. Dr. Fraser was fabulous. He was gentle and treated me as if I had been his patient for years. He took his time, but worked efficiently. During check out, Melissa explained the charges and was pleasant until the end. I was so pleased with my charges and services that I changed dentists. Thank you, Night and Day. Choose a dental office located near you. We have six dental locations in North Carolina, including Charlotte, Cary, Durham, Raleigh, Clayton, and Steele Creek.